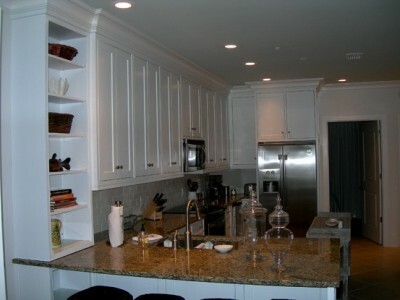 The Bell Condominium remodel showcases many of the standards I generally recommend, like fine wood, quality finish, simple trim work and ergonomic design. 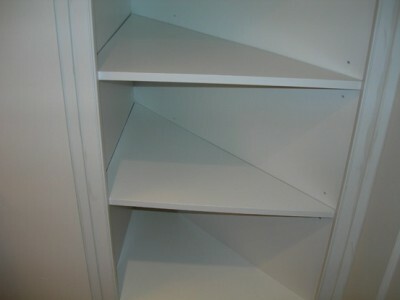 This remodeling project took about three weeks to complete. 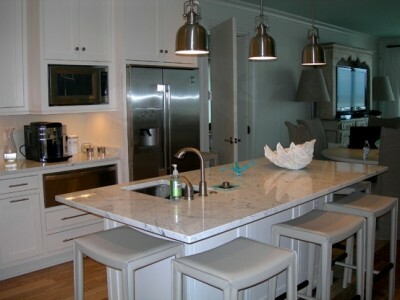 The bar in the Main Kitchen contains a second "cocktail" sink. 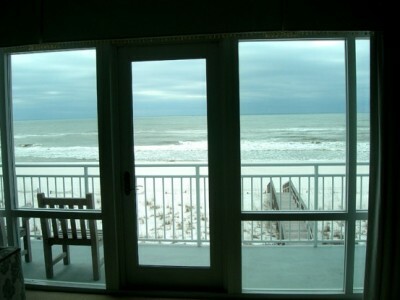 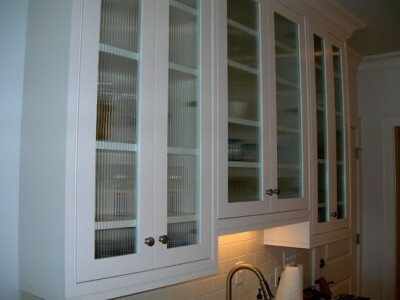 Ribbed Glass Cabinet Doors provide an open, spacious feel. 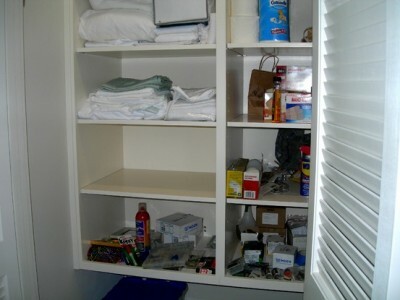 Trash and Recycling sit in a pull-out drawer. 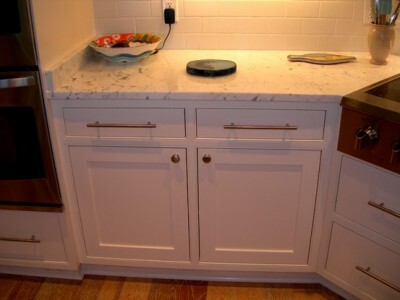 With marble storage shelf for oils and spices. 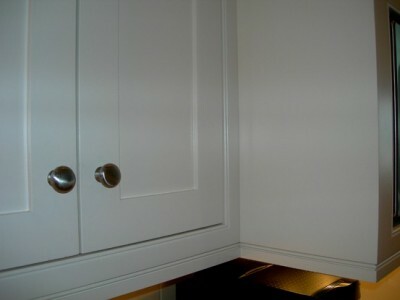 Oven doors match cabinetry. 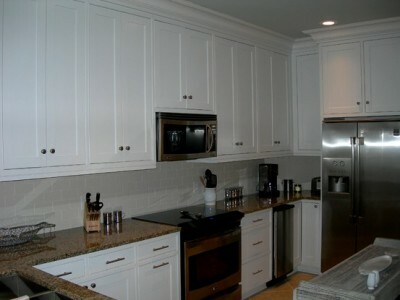 Tall, thin Pantry Cabinets to the left of range and oven. 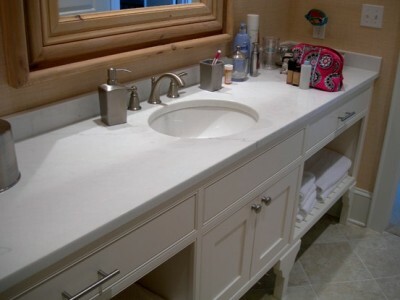 Offwhite marble countertop and white tiling add to a clean, bright look. 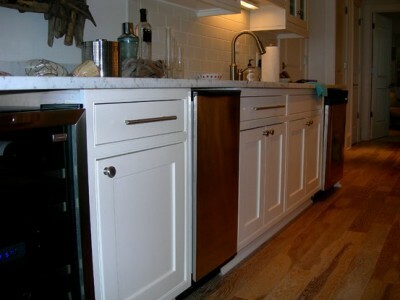 Oven drawers (on right) match full kitchen cabinetry work. 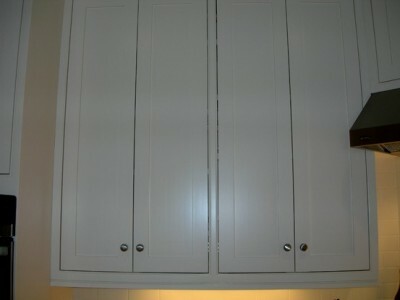 Single-bead trim offers a clean, simple look. 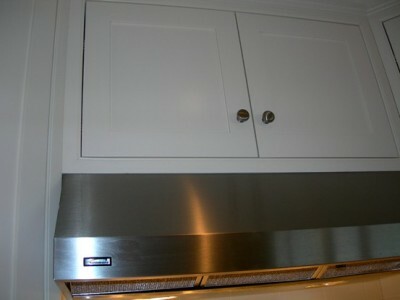 We went with a brushed nickel hardware. 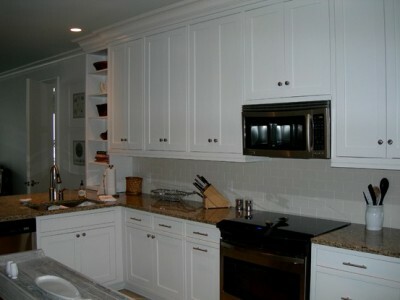 Solid Wood Cabinetry with a white finish. 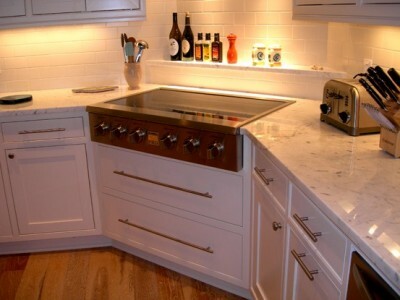 All of the appliances are built into the cabinetry. 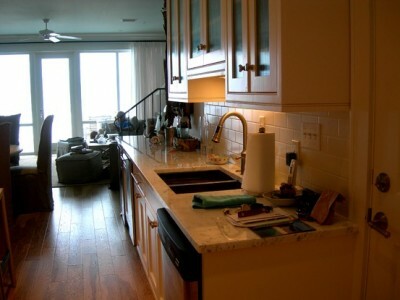 Kitchen in the attached rental residency. Cabinets match those in the main condo, while marble countertop is earth-toned. 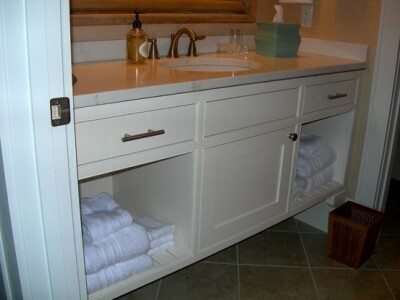 Master Bath - slatted shelving provides ventilated storage. 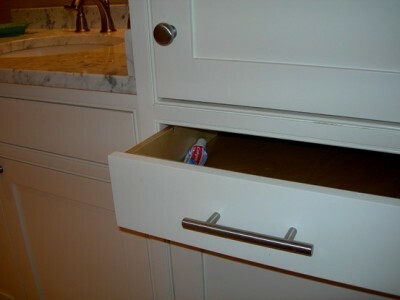 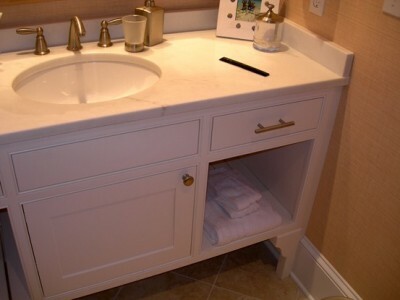 Plenty of counter space for make-up and toiletries. 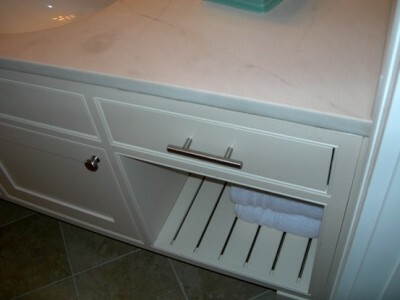 Brushed Nickel Fixtures match the hardware. 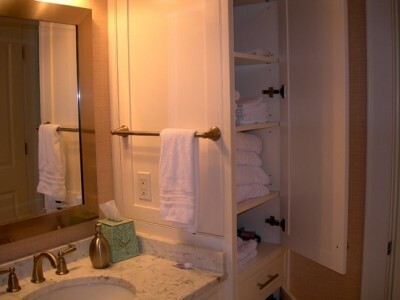 Rental Unit Bath follows main unit design, but with gold fixtures and hardware. 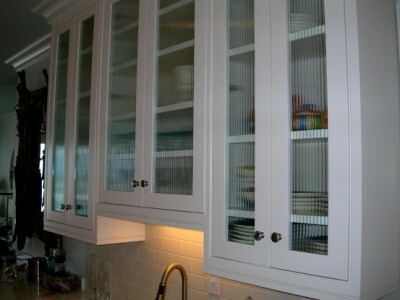 Slatted Shelving offers ventilation to counter humidity. 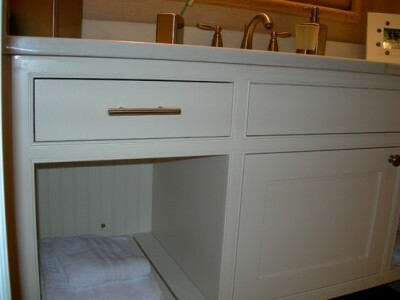 Natural Wood grain visible inside drawers. 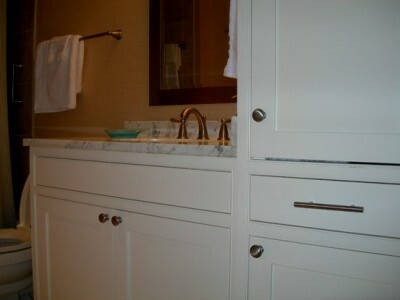 Hardware (knobs and handles) are brushed nickel.